CHESTNUT HILL, Mass., September 26, 2017 /3BL Media/ - Boston College Center for Corporate Citizenship is pleased to announce that registration is open for the 2018 International Corporate Citizenship Conference. The annual conference connects leading corporate social responsibility professionals and experts from around the world for three days of insights, information, and sharing. With support from convening sponsor Travelers, the conference will take place in Los Angeles, CA from April 8-10, 2018. This year's conference will focus on resilience, responsibility, results. "The relationship between resilience, responsibility, and results is one that is growingly appreciated by executives," said Katherine V. Smith, executive director, Boston College Center for Corporate Citizenship. "At the 2018 International Corporate Citizenship Conference this coming April, we plan to explore how corporate leaders are advocating for environmental, social, and governance action at an unprecedented scale, so that—together—we can create a more sustainable and prosperous future." Registration is now open. Early adopter registration rates as well as sponsor, team, and new member discounts are available. To learn more, visit the conference registration page. The unique and collaborative conference environment is open exclusively to corporate citizenship practitioners working inside companies. Nonprofits, consultants, media, students, and academics are not typically part of the conference participant mix unless they are content partners. If you have questions about your eligibility to attend the conference or would like to request special consideration, please contact registration@bc.edu. 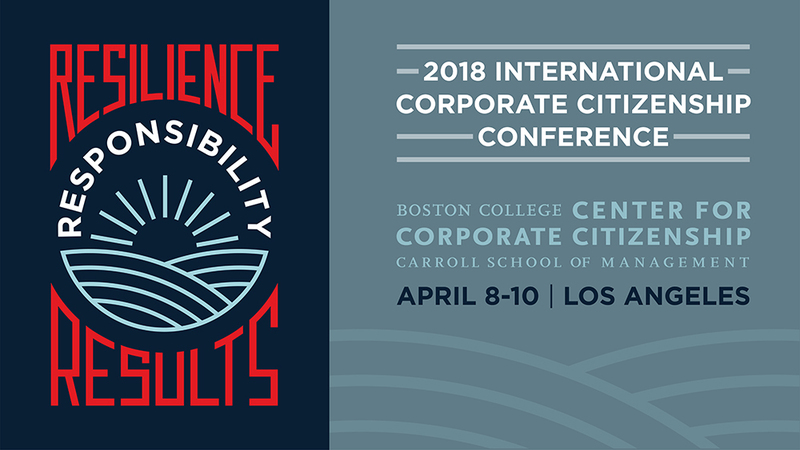 To learn more about the 2018 International Corporate Citizenship Conference, as well as other offerings and events from the Boston College Center for Corporate Citizenship, visit ccc.bc.edu. The Boston College Center for Corporate Citizenship (BCCCC) is a leader in the field of corporate citizenship helping corporate social responsibility (CSR) professionals maximize business and social value through tools and knowledge enabling them to achieve more through environmental, social, and governance investments. Founded in 1985, the Center draws on the community of professionals, original research, and resources of the Boston College Carroll School of Management. The membership-supported organization engages more than 10,000 individuals annually across its network of more than 430 member companies. For more information, visit ccc.bc.edu.